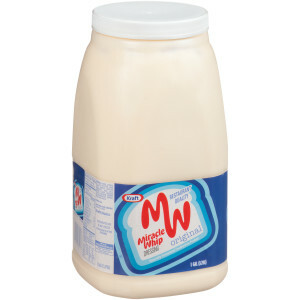 KRAFT Miracle Whip Salad Dressing adds a bit of attitude to everything it touches. Its desirable, tangy zip accentuates on-trend ingredients, and turns up the flavor on classic dishes like these seriously delicious recipes. With half the fat and calories of mayonnaise, use this versatile product to bind salads, spread on sandwiches, or top salads! 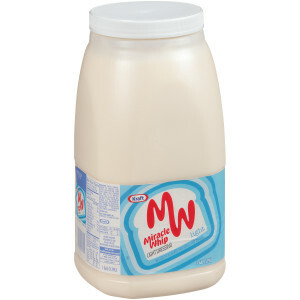 Miracle Whip Light has the same great taste as the original Miracle Whip, but has 50% less fat and calories. Amp up your sandwich with the unmistakable zing of our secret blend of spices. Spread the word and lay it on thick. We don't call it Miracle Whip for nothing. KRAFT Miracle Whip adds a bit of attitude to everything it touches. Its desirable, tangy zip accentuates on-trend ingredients, and turns up the flavor on classic dishes. 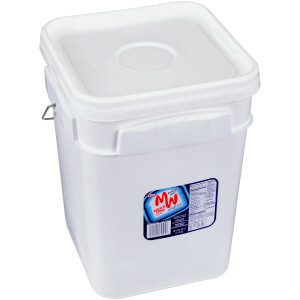 The 30 pound pail is a perfect size for back of house to use as an ingredient or topping.